If you own a bearded dragon, you probably already have noticed that bearded dragons eat almost everything unhesitatingly that´s alive. However, what about mice? Can bearded dragons eat mice? Bearded dragons should eat mice very rarely. For example, they can eat mice after very bad diseases or during pregnancy as they need a lot of nutrients during this time. Feeding mice too often can lead to diseases like fatty liver disease. So that was the answer in short, but there are a couple of questions you should still have. For example, how to feed mice? Dead? Frozen? 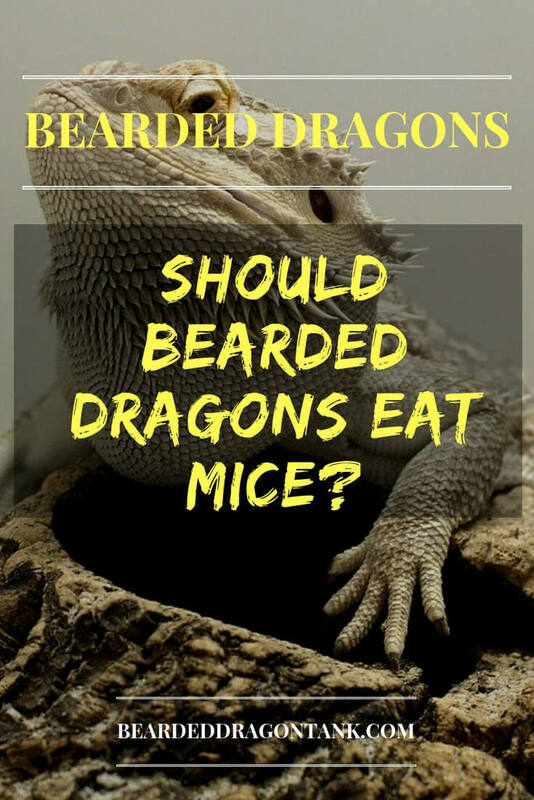 Further you should know which mice are the best for bearded dragons. Continue to read to learn more. Can Bearded Dragons Eat Mice? As you just have learned, there are only two good reasons to feed your bearded dragons mice, otherwise your bearded dragon might get sick. Pregnant bearded dragons need a lot of energy and a lot of nutrients. It does not matter if your bearded dragons lays fertilized eggs or unfertilized eggs, the production of eggs requires a lot of energy. It is not only that your bearded dragon has to produce the eggs inside its womb. It´s also that your bearded dragon will look for good places to lay the eggs. During that time, you will see your bearded dragon digging , since bearded dragon normally lay eggs in caves they dug themselves. Digging and laying the eggs require a lot of energy. Further your bearded dragon needs a lot of calcium during this phase as they need it for themselves and for producing the eggs (a big part of the egg is made of calcium). That´s why you only should feed mice with a certain age, but I will explain how to feed mice and which mice to feed later in this article. Most Bearded dragons that suffered from a bad disease or from parasites are very weak. To help your bearded dragon to get strong and healthy quickly, you can feed mice. Mice are high in fat and high in protein. Protein and fat are energy and this is exactly what your bearded dragon needs after a bad disease or after suffering from parasites. Especially parasites are known for draining a bearded dragon´s energy. Beardies that suffer from parasites are most of the times very inactive and lethargic. What Happens If You Feed Mice Too Often? As I just said, mice are very high in protein and high in fat and normally, bearded dragons should not eat mice. It is just too much for them and bearded dragons that live in a tank do not really have use for that energy. However, feeding mice too often can also lead to diseases. It can lead to renal gout, because mice contain so much protein. Further it can lead to fatty liver disease, because mice contain so much fat. Especially fatty liver disease gets more and more common in bearded dragons. That is because a lot of bearded dragon owners just feed too much food that is high in fat. Most bearded dragons in captivity are simply overfed. Not only mice are high in fat, mealworms, for example, are also very high in fat and should not be fed too often. In fact, I do not feed any mealworms at all. You can read here why I do not feed mealworms. You just have learned when to feed a bearded dragon mice. Here is how to feed them and which mice you should feed bearded dragons. Can Bearded Dragons Eat Mice Pinkies? Bearded dragons can eat mice pinkies. 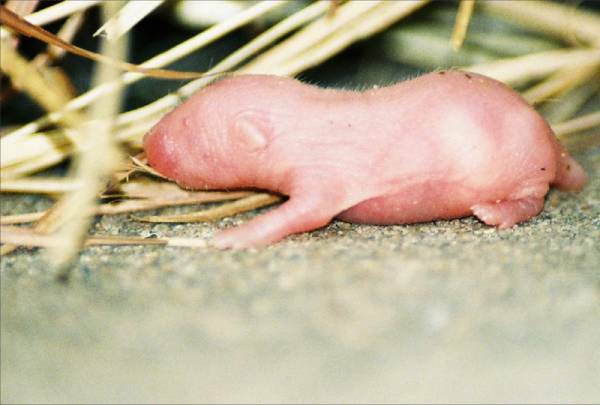 In fact, it is recommended to feed mice pinkies instead of mice that are a week old, for example. Mice pinkies are lower in fat and they have a better calcium:phosphor ratio than mice that are a week old. Mice pinkies that are 1 to 2 days old have a calcium:phosphor ratio of 1,7:1,0. Mice that are 7 to 8 days old, which are also referred to as fuzzy mice, have a calcium:phosphor ratio of 1,0:1,3. So as you see, mice that are around 7 days old are higher in phosphor than in calcium. However, bearded dragons need a lot of calcium and it is always recommended to feed food that is higher in calcium than it is in phosphor. That´s why feeding mice pinkies is ideal. Can Bearded Dragons Eat Frozen Mice? Yes, bearded dragons can eat frozen mice. However, before you feed the mice you have to unfreeze them and the mice should have a temperature of 86 °F (30 °C) to 95 °F (35 °C). Food that is too cold or too warm can irritate a bearded dragons digestive system. Do Bearded Dragons Eat Mice In The Wild? Bearded dragons are omnivores, which means that they can and do eat everything. In the woodlands of Australia, there is a huge variety of food and bearded dragons can also find mice there. If a bearded dragon is able to catch a mouse, it will eat it. However, an adult bearded dragon´s meal plan consists of around 80% greens and only 20% is live food. So they do not eat mice often in the wild and even if they would do that, in the wild, bearded dragons get way more exercise than they get in captivity. They simply can burn the fat, the calories and the protein quicker in the wild. The video below shows a captive bearded dragon that is allowed to go outside. It actually caught a mouse while being outside. Can Bearded Dragons Eat Fuzzy Mice? Fuzzy mice are mice that are around 5 to 9 days old. Bearded dragons should only eat pinkies as they are smaller, lower in fat and they have a better calcium:phosphor ratio than fuzzy mice. Can Bearded Dragons Eat Hopper Mice? Bearded dragons should not eat hopper mice. Hopper mice are too big for bearded dragons and a bearded dragon could even die from trying to swallow the mouse. Further, alive hopper mice can even be dangerous to bearded dragon as they tend to bite. Only feed your bearded dragon mice pinkies if you have to. There are not a lot of situations that allow you to feed your bearded dragon mice. Honestly, I do not do this at all, but if your bearded dragon is pregnant or suffered from a bad disease, it is your choice. So, can bearded dragons eat mice? They can, but usually, they shouldn´t. Any questions? Leave a message in the comment section below.